Best Boat Buying Opportunity of the Entire Year! Shop many dealers under one roof during the New Orleans Boat Show – and weather isn’t a concern because there is convenient covered parking adjacent to the Superdome! 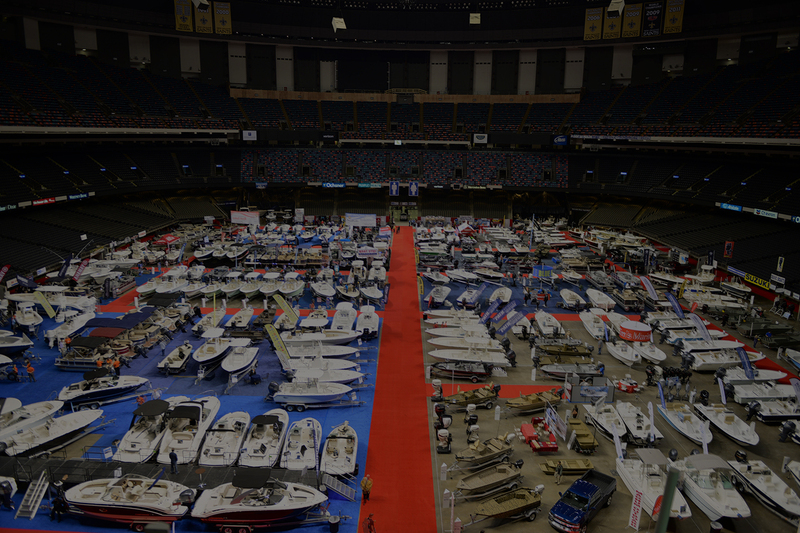 The entire Mercedes-Benz Superdome floor will evolve into the region’s largest boat show February 8th - 10th, 2019, featuring the best deals on all the equipment you need to maximize your time on the water! And you don’t have to run all over to get the best prices! Hundreds of boats are on display for your viewing. There is also financing and insurance on site, accessories, and more. The show, presented by Mercury Marine, Tidewater Boats, and Sea Tow, will include most of the boat dealers from Southeast Louisiana – but that’s not all! Also represented at the show will be companies offering boat insurance, electronics, sunglasses, boat lifts and many other accessories. There will be plenty for the family, too! This year there will be a “Kid’s Zone,” with entertainment from NOLA Kids There will be games for young children and adult-supervised play. Kids are welcome all day access to the Kid’s Zone for free, giving parents some freedom to enjoy the show while their young children are playing safely. There will be Laser Tag, Video Games, Xbox, Wii, Kinect, Jenga, and board games. The entire perimeter of the Superdome will be set up with booths designed to create a carnival-type atmosphere with many attractions for all ages. Admission is just $10 for adults, $5 for children 5-12, and kids under 5 get in free. Tickets may be purchased at the Mercedes-Benz Superdome Box Office. To be updated on all thing Boat Show, follow us on Facebook page! Find it all at the New Orleans Boat Show! If you are interested in becoming an exhibitor, click here for our registration form.